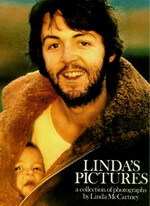 Linda McCartney was born in New York. Studied Art History in Vermont and Arizona. When living in Arizona she started taking photographs at the Tucson art centre. She never studied photography yet she captures in her photographs the moment with warmth and feeling. With a personal commentary by Linda, this book provides a unique look at a fascinating world. Included in the book are photographs of, Mick Jagger, Brian Jones, Tommy James and the Shondells, Otis Redding, Buffalo Springfield, Ray Charles, Judy Collins, Jackson Browne, The Beatles, George Harrison, Crosby, Stills and Nash, Leslie West, Jefferson Airplane, Grace Slick, B.B. King, Traffic, The Beach Boys, Simon and Garfunkel, Ginger Baker, Eric Clapton, Pete Townshend, Keith Moon, Bob Dylan, Jim Morrison, Aretha Franklin, Jimi Hendrix, Janis Joplin, Warren Beatty, Grateful Dead, David Bowie, Wings, Dustin Hoffman, Steve McQueen, Ali McGraw, Willem de Kooning. A super BIG glossy book (10 inches by 13 inches). 156 pages, packed with great intimate snapshots of all our legendary heroes. 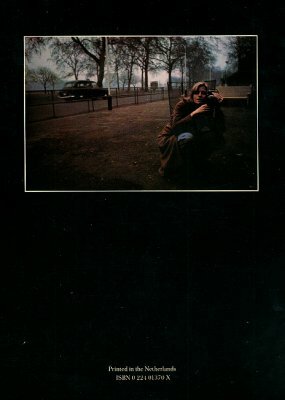 Although this book is long gone, I believe "Linda's Sixties" is very similar.